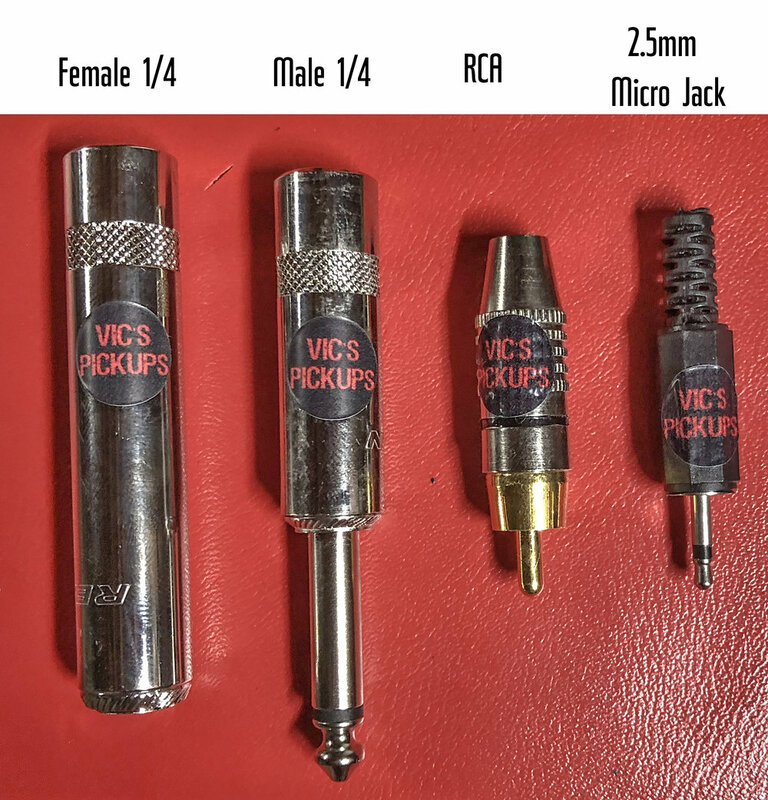 Specs: 1/4" female or male jacks available. A stereo (TRS) patch cable is required to connect to a preamp if using the female jack. Installation: Click here for the bridge. Click here for the slap. Velcro strips are included to mount jack to tailpiece or on the string area between the bridge and tailpiece.